The bonds will be sold through banks, Stock Holding Corporation of India, designated post offices, National Stock Exchange (NSE) and Bombay Stock Exchange (BSE). The Centre has decided to come out with the fourth series of Sovereign Gold Bonds 2016-17, which the Reserve Bank of India (RBI) will issue on its behalf. 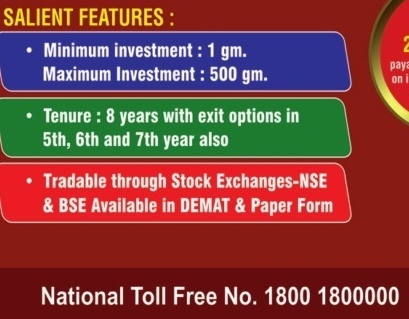 The bonds will be sold through banks, Stock Holding Corporation of India (SHCIL), designated post offices and recognised stock exchanges NSE, and BSE. 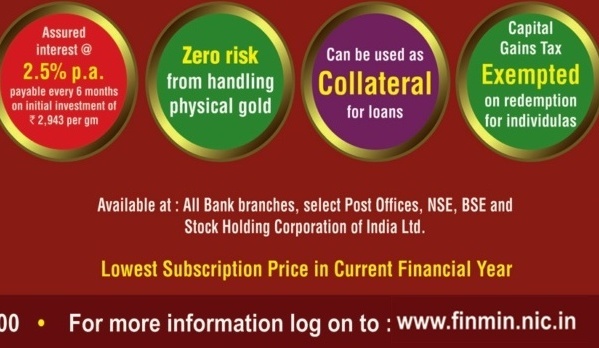 The bonds will be denominated in gram(s) of gold with a basic unit of one gram. The tenor will be for a period of eight (8) years with exit option from the 5th year to be exercised on the interest payment dates. Investors will be compensated at a fixed rate of 2.50% per annum payable semi-annually on the nominal value. Launched by Prime Minister Narendra Modi in November 2015, the Gold Monetisation Scheme (GMS) and the Sovereign Gold Bond schemes aim at cutting down the huge demand for the precious metal. While the GMS has seen tepid response, investors have found the gold bond scheme reasonably attractive. 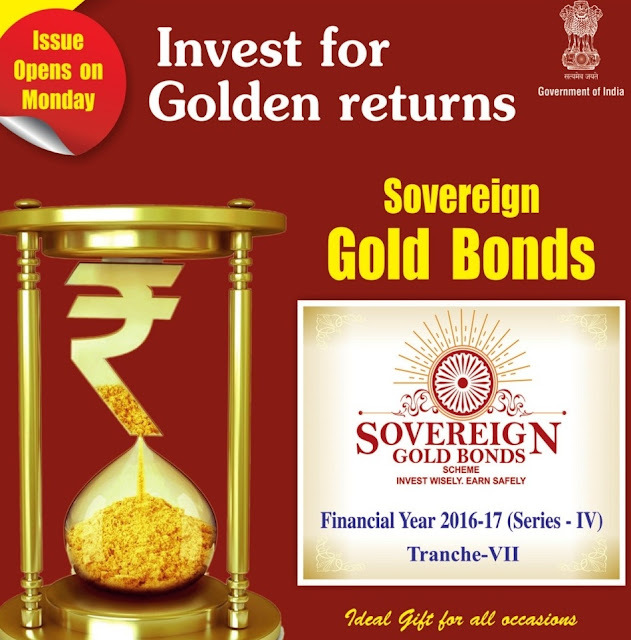 Finance Minister Arun Jaitley had, in Union Budget 2015-16, announced the creation of a Sovereign Gold Bond as an alternative to purchasing metal gold. Accordingly, three tranches of issuances had been undertaken during 2015-16. The best solution to all your investments are to put your money on gold which is immortal.